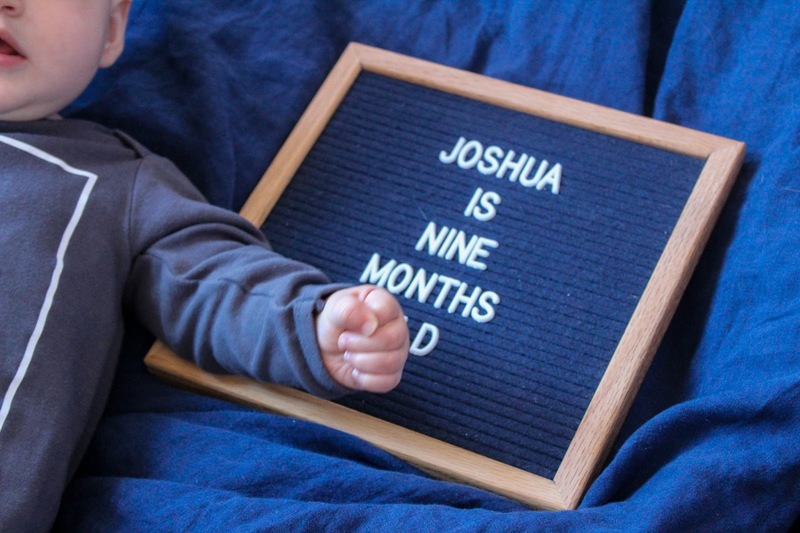 Another month has passed and with that, Joshua is creeping even closer to turning the big O N E! 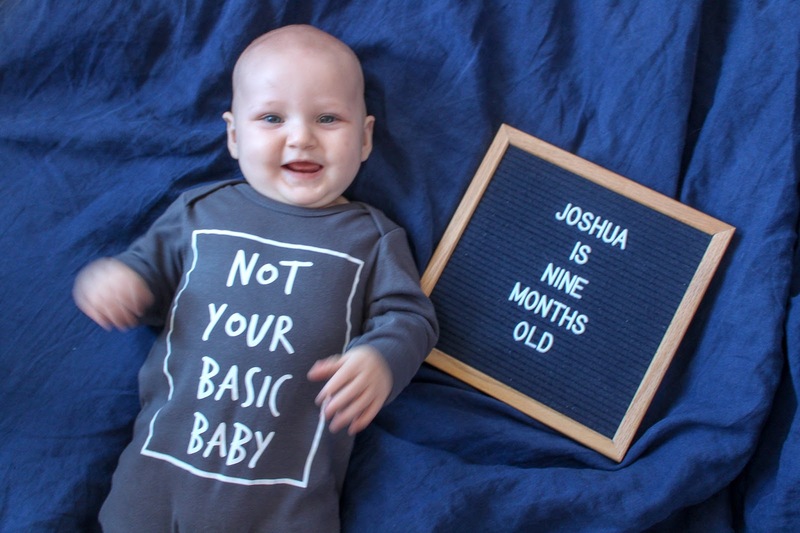 I am definitely not ready but we have already put an order in for his cake with our favourite baker and I've started a secret Pinterest board to create the perfect first birthday for our little squidge. 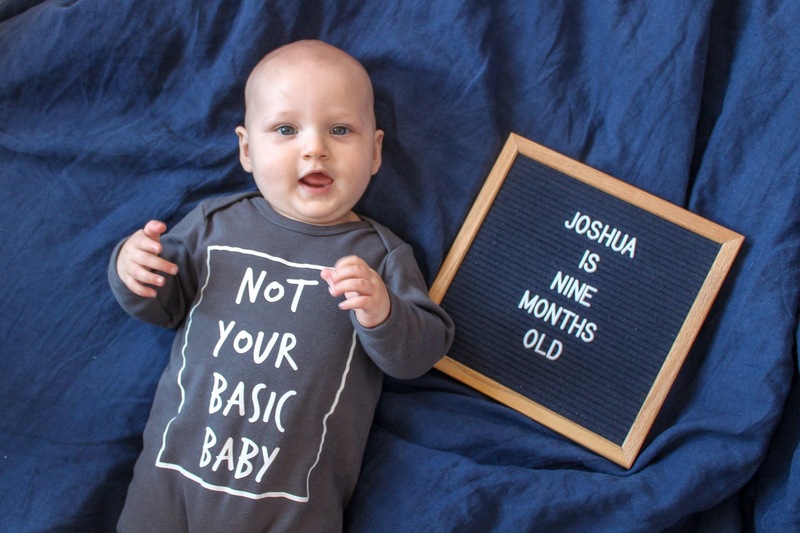 How Joshua has been here an entire nine months now, I don't know. This time last year I was waddling around with my big ol' bump and lazing around in front of fans. Time has gone oh so fast. We're still at six teeth but those bottom incisors are so close to cutting through. I feel like I've been watching them push and push for the last six weeks! It has meant teething has relaxed a little which has been a relief as we went from newborn straight into teething. We've introduced lots more foods and weaning is going well. We're still doing traditional weaning with some finger food thrown in and scrambled eggs are a new favourite. He's also become obsessed with peaches and nectarines and if he's sat on the side with me he'll swipe one out of the fruit bowl and start eating it. Still not a fan of strawberries or cucumber yet and I've been exploring Violife so I can make him baby pizzas which has gone down a treat. Sleep is getting better again! YAY! With teething chilling out a little, we've just had to deal with the heat but with an airy room and a short vest, he's been sleeping better. We just need to get some black out blinds as we think they'll make all the difference, paired with the Sleepyhead Grand, we've finally found what is working for us again. 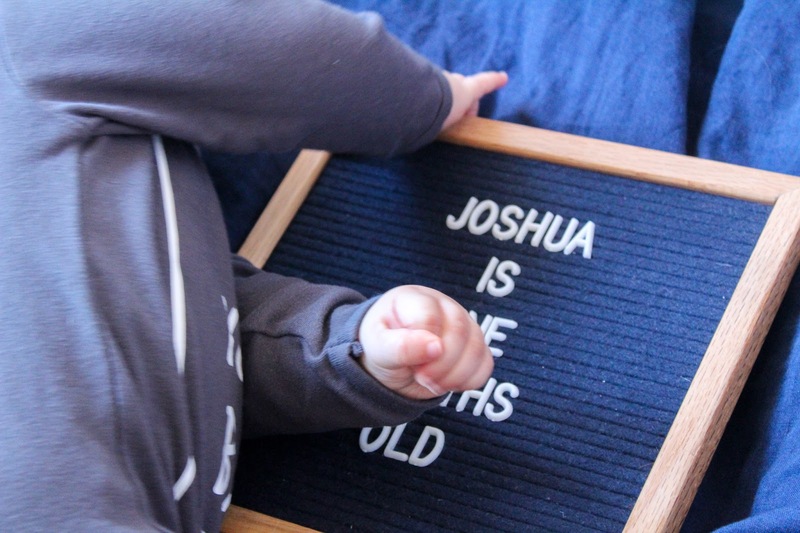 A lot has changed the last four weeks again, Joshua is learning so much every single day and I'm totally in awe. He's crawling now and he's so quick I barely get a chance to catch him some days. He's pulling himself up all over the place, walking around the sofa and the kitchen and getting brave by going one handed while also giving me a heart attack. He's waving, giving high fives and kisses which is the sweetest thing ever and when Arran roars at him playfully, he roars back. We have such a little monkey on our hands. 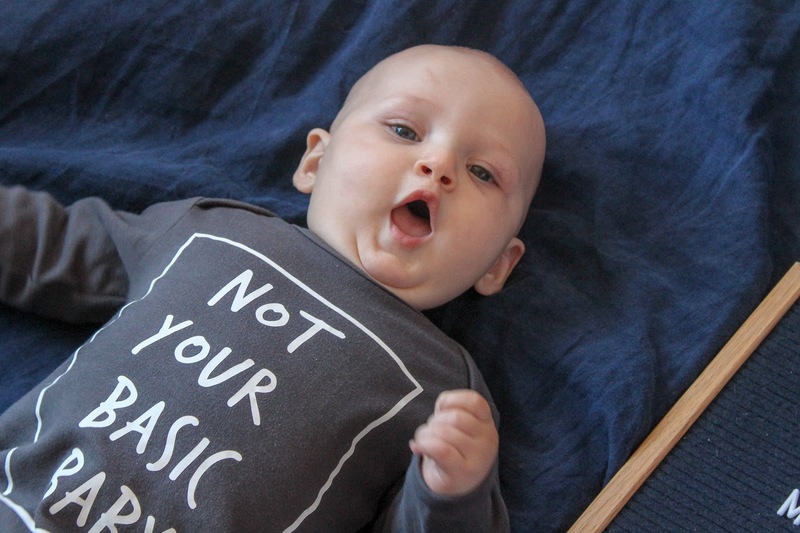 We're coming to the end of our baby classes after four terms but as he is now crawling, he's ready to graduate! I now just need to find something different to do in Southampton to fit in with our coffee dates, shopping mornings and supermarket expeditions. Our chatterbox is becoming a right little character and he's just so funny. They say you never know love like a mother has for her son and it's so true. EEEEK Alice he's getting so big!! I love that he Roars back that is SO SO cute. can't believe our babys are almost 1!!! He's such a cutie! Someone told me recently that you don't realise how fast time goes until you have kids and I think that is so true. He’s getting so big! Sounds like he’s got such a personality on him too. So so glad the sleeping is getting better. That’s what scares me about having my own babies, I’m a monster on no sleep! 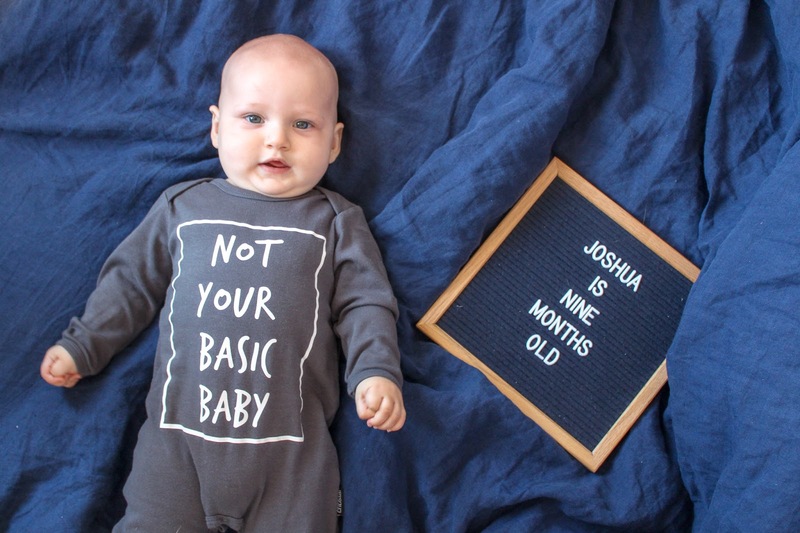 I love that little onesie! Omg I can’t get over how quick this has came round. So happy he’s sleeping better now. Growing up so quickly! Won't be long and it will be his 1st birthday! Stop growing baby spake!! It’s going to be his birthday before you know it! AAAAH HOW IS HE SO CUTE!! !